Mr. Kottakkakam has been in this field for the past 21 years. 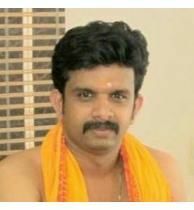 He has dedicated his life to serving the people and helping them deal with life issues through his knowledge of Astrology. He has trained under his spiritual guru Lakshmi Gayathri Swami. 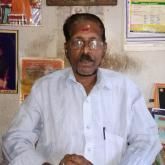 Mr. Kottakkakam has completed over 10,000 consultations in this time and is one of the leading astrologer in his area. He has helped people in achieving better in life with strong and rooted advice based on astrology. Clients who know malayalam is preferred. Mr. P K Vasud. . .
Gandhi Square B. . .